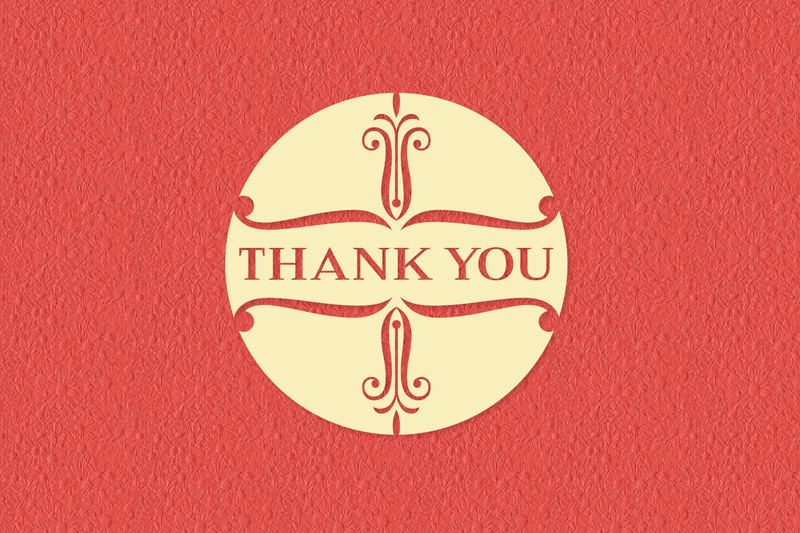 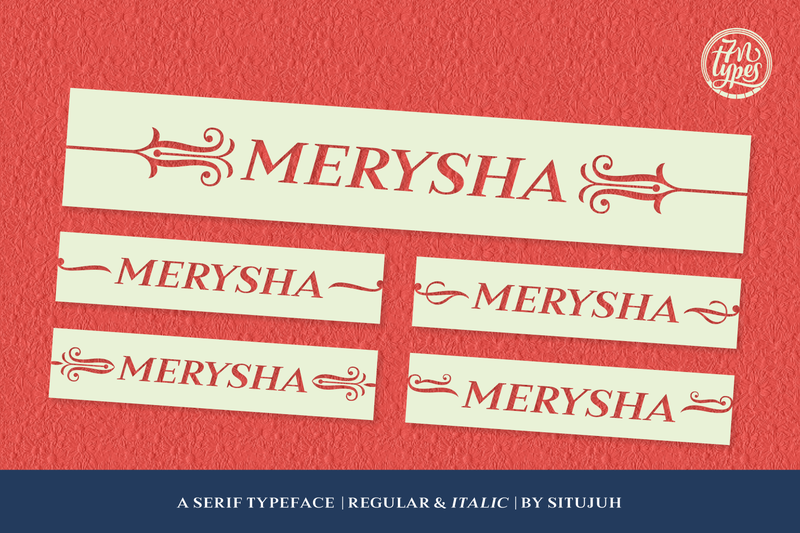 Merysha is a classical looking serif font. 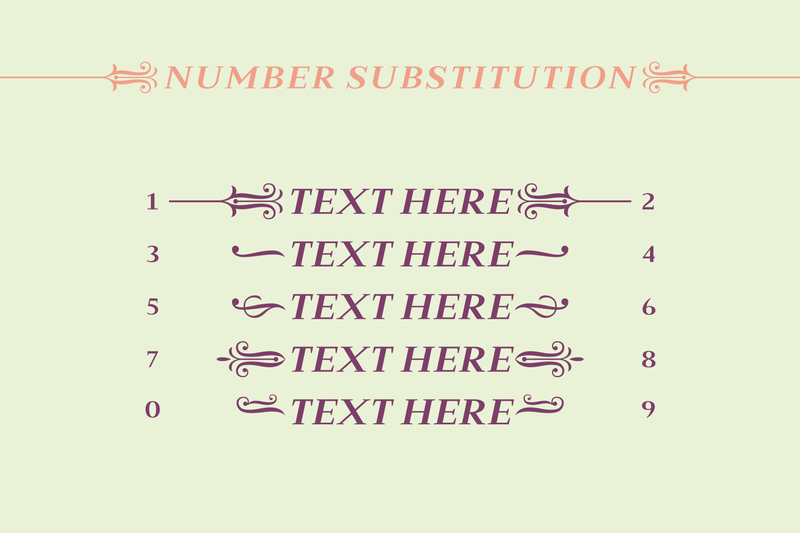 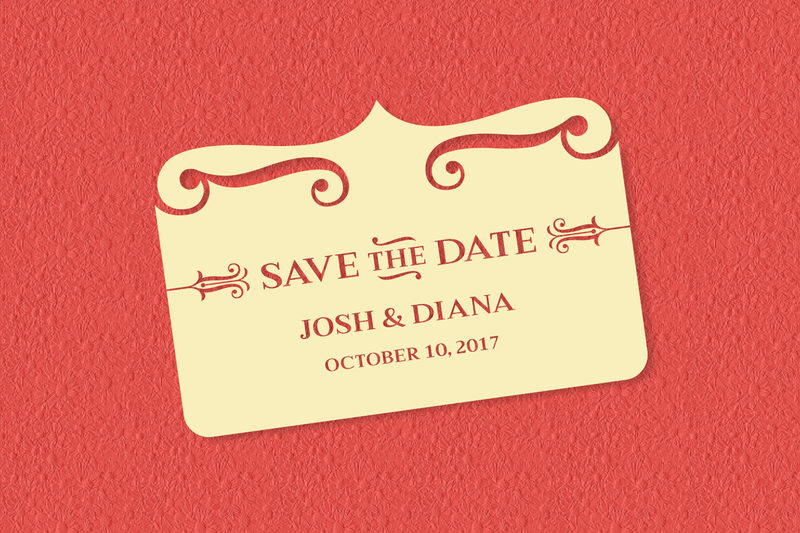 It ticks all the important boxes, it is easy to read, will look super neat and what’s also great, it comes with decorative embellishments that match the font perfectly. 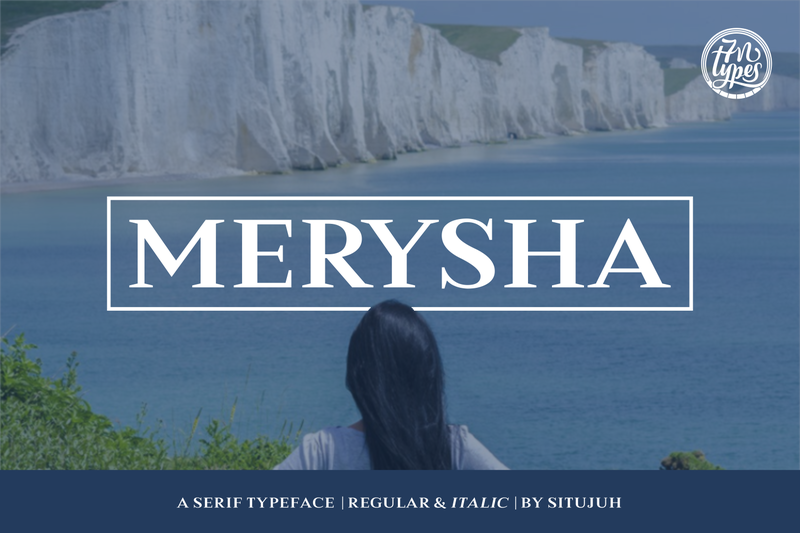 The Merysha is a versatile font that can be used as titles, headlines or as body text.